Beochan: Paisean Agus Aiféala, formerly known as Pretty Pastel Goth Beochan is a blog on Tumblr that features artwork, a 4Koma entitled Petite Delight Theatre and a possible animated webshow centering on a crossover Alternate Universe where enchanted creatures known as "Beochan" take the forms of numerous animated character and reside together within the Land of In-Between. But trust us, folks, this isn't your kid siblings' Nickelodeon or Cartoon Network, it's far, far worse... however there are just a few stories that aren't dark and gloomy at all. The blog can be seen here . Ambiguously Evil: This AU's depiction of Jelly is a doll that might be possessing Buhdeuce. Animesque: The art style is supposed to be this, hence the (sometimes) Yonkoma format of the Petite Delight Theatre strips. Art-Style Dissonance: Part of the gimmick to the series is that it's supposed to look cute to hide the dark punchline behind the seemingly-innocent joke until the end. Breakout Character: Lalasa turned out to be pretty popular with readers, which lead her to get a 4-part story focusing on her origins. Dark Action Girl: Lalasa has shades of this. Deconstructive Parody: Of animation as a whole, the best examples so far being PDT #2, #5 and #6. Delinquents: The Cartoon Network characters are portrayed as a literal network of pranksters who wreak havoc among the Nicktoon community. Patricia and Barbara are such. 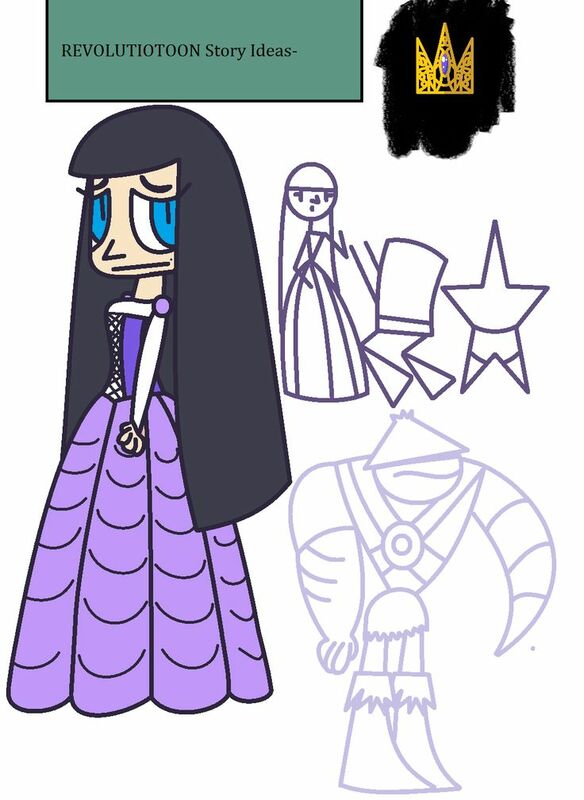 There exists an unused character ◊ who was gonna be a princess. The Fashionista: Patricia and especially Barbara love wearing fancy dresses, makeup and jewels. Heroic Sacrifice: Elsa in PDT #5. Lovable Alpha Brats: Barbara and Patricia are the leaders of the new Nicktoon generation and are beloved by the entire town for their kindness and fashion sense. Patricia was the name of Patrick's girl disguise in "That's No Lady". Lalasa's character is one to San Craig from the Sanjay and Craig episode "Curb Dawgs". Origins Episode: "StarGazing" tells how Lalasa came into the world. Team Dad: Tommy serves as this to Barbara and Patricia's circle of friends. Ridiculously Human Robot: Despite her normal-looking appearance, Lalasa may or may not be at least half-robot. The Tagline (both the old and new ones) are obviously a play on the tagline for Toonami, which is "Building You A Better Cartoon Show". The small ornaments/charms on Barb and Tricia's swimming caps in PDT #3 are basically Usagi and Chibiusa's cosmic brooches. Be-Papas the magic mirror is named after the group behind Revolutionary Girl Utena. The outfits Barbara, Patricia and Lalasa wear in PDT #1 are modeled after Fanboy, Chum Chum and Kyle. In #6, Linus and Sally are dressed as Mickey Mouse and Sally the Witch. Sometimes the characters make expressions uncanny to Miku Hachune (who would eventually join the supporting cast). Subverted Kids Show: Usually focuses on Nicktoons and Cartoon Network originals, despite usually putting a sick and violent spin on them (or at least subversive/satirical). On occasion, the characters will be drawn like this, sometimes even in pixel format; Except in pixel form their heads are the only thing that's drawn. Miku Hachune (a chibi version of Miku Hatsune) is part of the main cast as a friend of Patricia and Barbara's. Yonkoma: The Petite Delight Theatre strips are usually in this format, however some stories break tradition and have more than 4. Unlimited Wardrobe: Barbara and Patricia wear various outfits throughout the series. Unsettling Gender Reveal: The Great Pumpkin gets one of these in PDT #6. Wham Line: Just about nearly every PDT has one of these.